One of the new activity classes being offered by the kinesiology department is KINA 291-0701 Floorball. According to Vesa Naukkarinen, chair of the kinesiology department, floorball is the fastest growing sport in the world. “Floorball is more fun and inclusive than paintball, basketball, volleyball or many other group activities,” says Naukkarinen. First introduced in Sweden in the early 70s, floorball is now played in 70 countries around the world and continues to increase in popularity as more people discover this sport. Floorball is a fast-paced type of indoor hockey, according to Naukkarinen. It’s also extremely safe, low-cost and easy to teach and learn. Emphasis is on speed, skill and technique over physical strength. “Hockey associations are using floorball to introduce kids to hockey-like activities before they are old enough for the learn-to-skate and introductory hockey programs,” he says. Naukkarinen believes that floorball is not only an ideal gateway to ice hockey, but a fun way to develop the hand-eye coordination skill set that’s essential for most sports. A stick, a ball, sneakers, shorts and a shirt are all that are needed to play floorball. The equipment design and the game rules make it much safer than regular floor hockey. Floorball sticks are shorter (waist high), round, and light weight, with a grip that’s easier to control. And because they’re made of fiberglass composites, they are sturdier and longer lasting. Floorball is rapidly becoming a sports phenomenon in the United States, with teams springing up across the country, primarily on both coasts and in Texas. The sport has an annual world championship tournament, and the International Floorball Foundation hopes that floorball will be part of the Summer Olympics by 2020. To see the action from the International Floorball Foundation, go here. 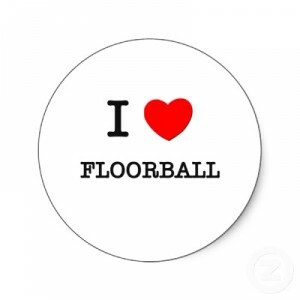 Floorball that is the first time hearing that word actually.